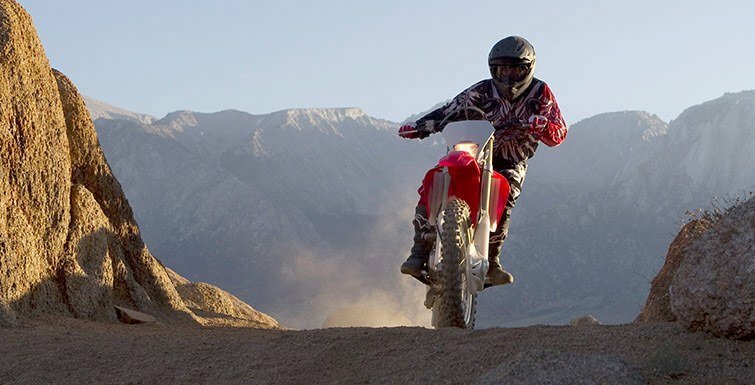 Skilled off-roaders seek a bike that offers an ideal balance of power and size, performance and handling. That’s why we built the CRF250X. Based on our popular and podium-friendly MX racer, the CRF250X is powered by a four-stroke Unicam® engine modified for optimum off-road riding. 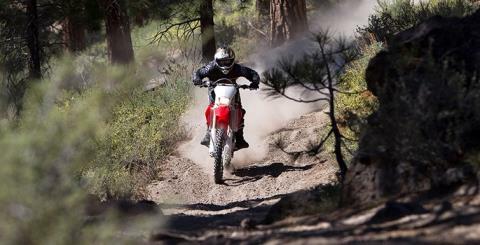 We’ve also specially-tuned the suspension for the trails, and given the rugged transmission wide-ratio gearing to handle whatever conditions you come across. Then there’s the electric starter that puts you on the fast track with the push of a button. 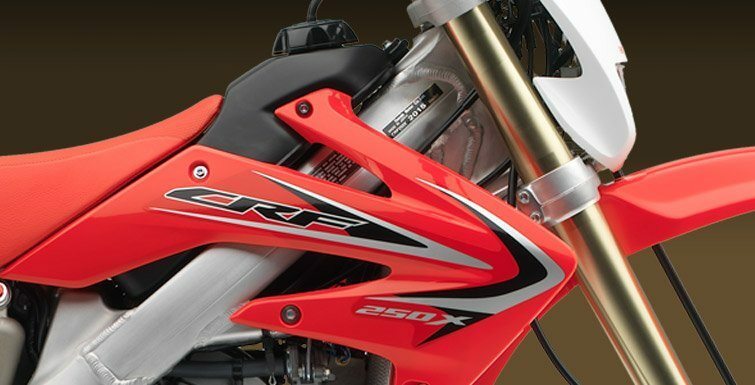 So take a look at the CRF250X. We think you’ll like what you see. Dual radiators feature a refined core area for improved heat dissipation compared with conventional dual-radiator designs. 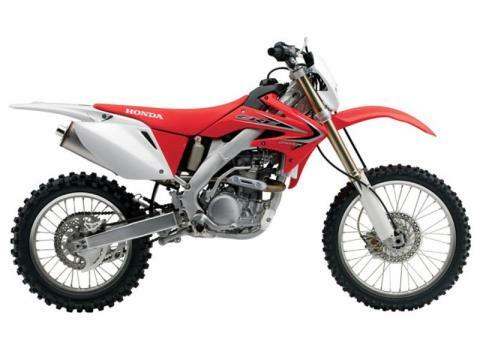 Coolant recovery tank is located in front of the engine between the frame downtubes for improved center of gravity. Coolant tank is protected by a plastic skidplate. 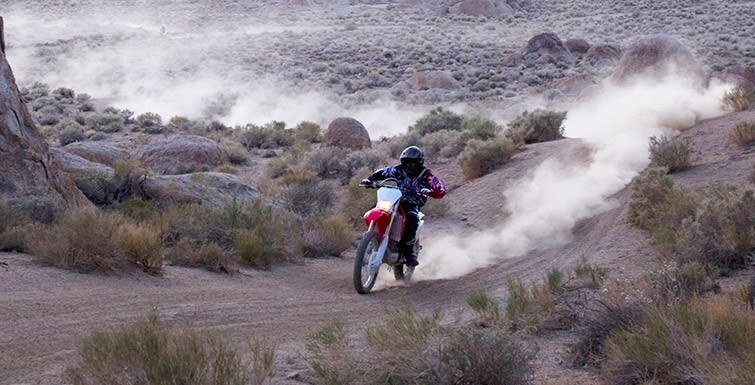 Electric start system ensures trouble-free starting in all conditions. Electric starter also drives the clutch side of the crankshaft to provide superior lubrication to starter gears while producing a narrow engine with a short, strong crank. Gear-Driven Counterbalancer reduces vibration and drives the water pump. 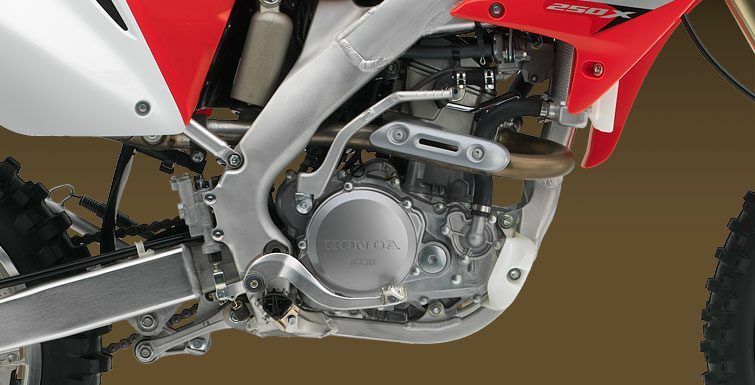 Eight clutch plates provide the surface area necessary to handle the engine's massive torque, while carefully matched clutch springs provide a light feel at the lever. LED taillight integrated into rear fender. It’s light, compact, and bulletproof. 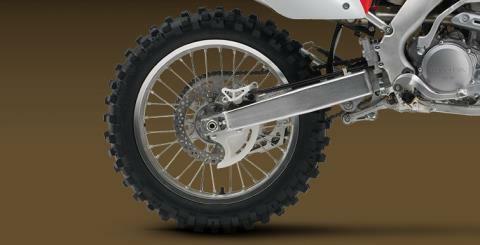 Removable rear subframe allows easier access to the engine and shock and simplifies maintenance. 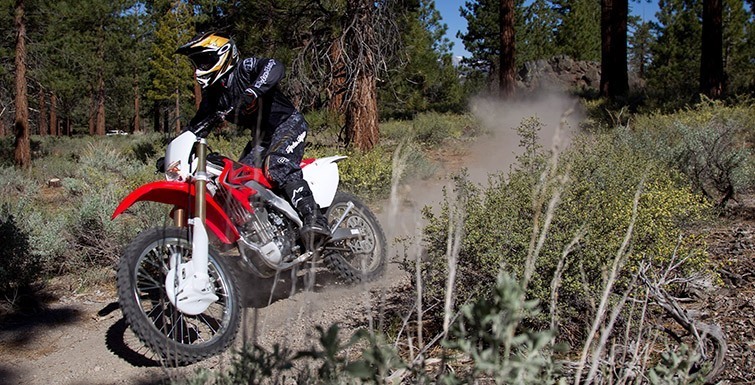 Aluminum Renthal handlebar (971 bend) is rubber-mounted to help reduce rider fatigue and improve comfort. 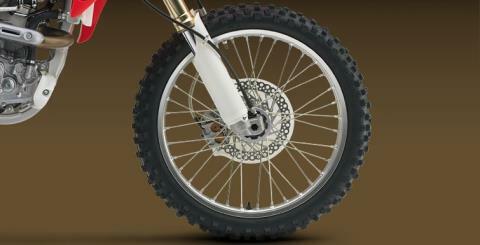 Placing the rider’s legs at the narrowest part of the frame improves comfort and handling. Twin-sump lubrication system separates the oil supply for the crankshaft, piston and valve train from the clutch and transmission. This ensures a cool supply of oil to the clutch, eliminates clutch and transmission material contamination of the engine oil, reduces the amount of circulating oil and permits the use of a smaller oil pump. Compact twin-piston front brake caliper, anodized-aluminum brake pistons and lightweight 240mm front disc offers great stopping power while minimizing unsprung weight for improved turning and handling. 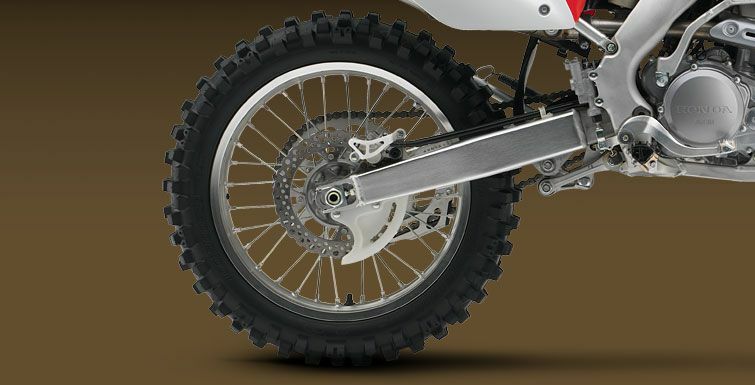 HRC works-type rear brake system adds a new 240mm brake rotor to its integrated rear master-cylinder and fluid reservoir, a set-up that eliminates the separate reservoir and hose.